Evolve Real Estate and Property Management is a full service brokerage, providing rental property owners in Highlands Ranch, CO with property management services. Evolve Real Estate & Property Management has built an exemplary reputation and maintain an extensive variety of properties such as single and multi-residential homes. Our service strategies are always designed with the goal of accelerating the Return on Investment (ROI) for our local and out-of-state investors. We have designed our property management services to aggressively work toward increasing our clients’ income and reducing operational expenditures. Our exceptional attention to detail, direct and timely communication, an unparalleled level of professionalism, and excellent performance allow us to provide a personalized and responsive service. As part of our standard process, we consistently ensure that your investment is well-maintained and occupied by good-quality tenants who are creditworthy, responsible, honest, neat, and most of all, able to pay the rent without issues. Adhere to all applicable local, state, and federal statutes. Communicate between you and the tenant through prompt and efficient communication. Prepare all rental or lease agreements in accordance with Colorado’s regulations. Perform a comprehensive tenant screening process for all tenants to verify details such as criminal records, credit history, rental and employment details, and eviction checks. 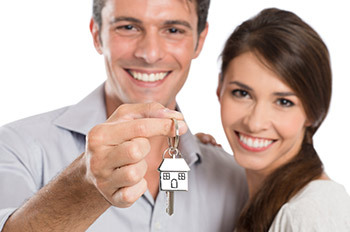 Ensure completion of proper documentation that verifies the property’s condition at the time of their move-in. This means that a documentation of your property’s condition prior to the tenant moving in will be secured and ensure that the tenant completes and signs the Move-In Inspection form. Ensure that the tenant has properly executed all of the required agreements before they start moving into your property. Collect the required fees such as the first month’s rental fee and security deposit in the form of a cashier’s check before the tenant starts moving in. Ensure timely rent collection on the first day of each month. Issue a late notice if the tenant fails to pay in a timely manner. Should our initial attempts to collect rental payments not lead to the desired action from the tenant, we will start the eviction proceedings accordingly if the tenant fails to act on the late notice. To avoid the mess and costs brought by evictions, we’ll only take this course of action after exhausting other possible options. We take property maintenance seriously, that’s why our team of managers will ensure prompt coordination with you for any maintenance or repairs needed. This way, we are able to help ensure that your property will be in its best condition. We conduct a walk-through inspection to ensure your investment is returned in the same condition as when the tenants moved in. Return the security deposit to the tenants. Any deductions made from the security deposit will be disbursed to the property owner. Highlands Ranch was named one of the best places to raise families in Colorado by NerdWallet and one of the top places to move in the nation by Forbes. With four rec centers, convenient location, two dozens parks and lots of opportunities for an active lifestyle, it is no wonder Highlands Ranch is becoming the top destination for home seekers in Colorado. Highlands Ranch home values rose 12.9% over the past year (2014) and the current median rent price according to Zillow is $1,975, which is higher than the Denver Metro median of $1,650.